This is a great picture of Chris. 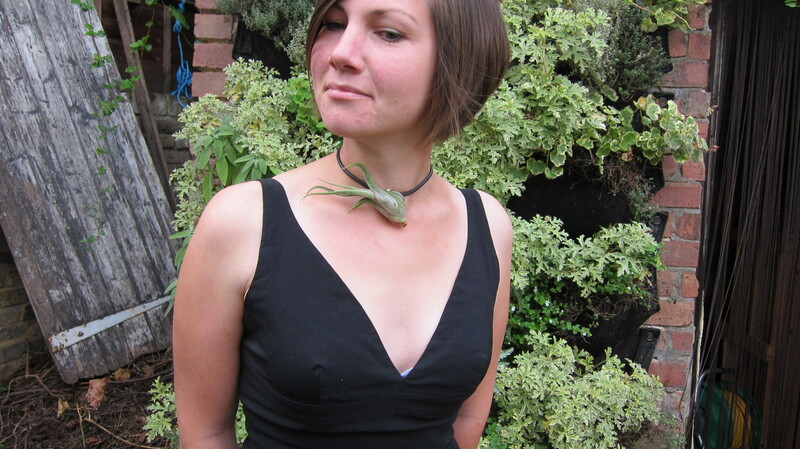 I forced her to change into my black dress and pose whilst I played with an air plant around her neck. We made them on Saturday for the Sunday Brick Lane Market in London. A bit of fun. Nothing serious. I dont even charge for the attachment (of the jewellery pin to the plant). 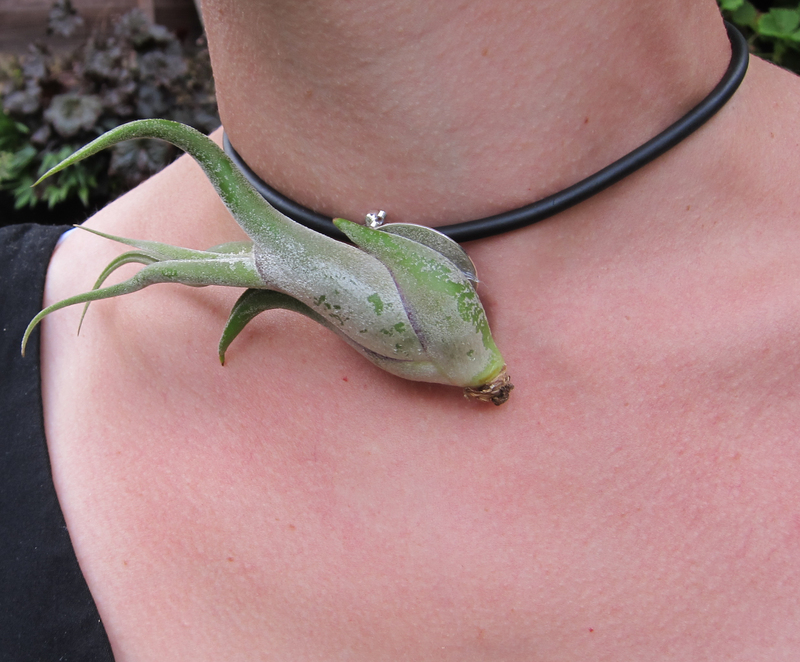 These air plant necklaces are dead easy to make. Get an air plant (£5 from Garden Beet), get a glue gun that heats and melts the glue (£10 Home Base) and get some round discs with a broach pin (90p from Garden Beet or your local bead shop). You can wear them in your hair too!! Here is a happy customer below. Sassy Girl – she understood the look. Previous articleTend’s orbing air plants are now UK eco gifts. An advertisement for a small garden. Next articleBig mama wind chimes. For the giant in you.